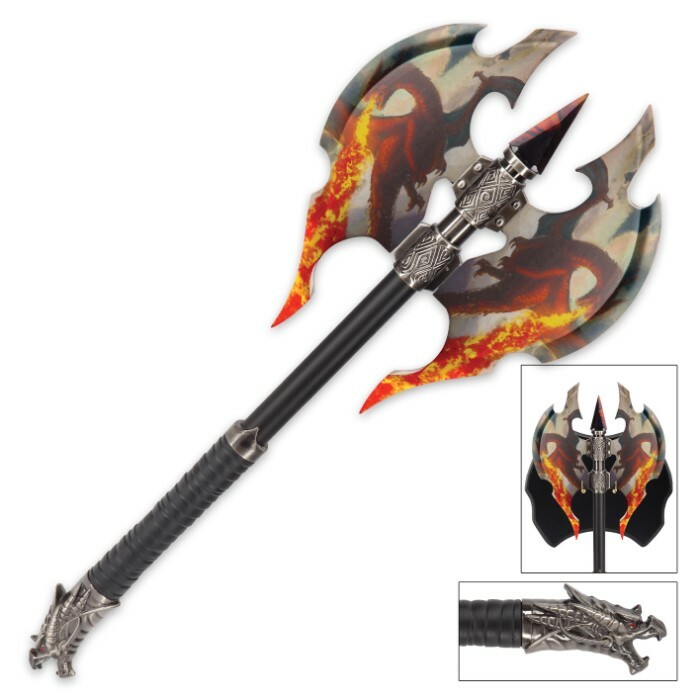 Add some serious zing to your True Swords collection in the form of this Raging Dragon Inferno fantasy axe! 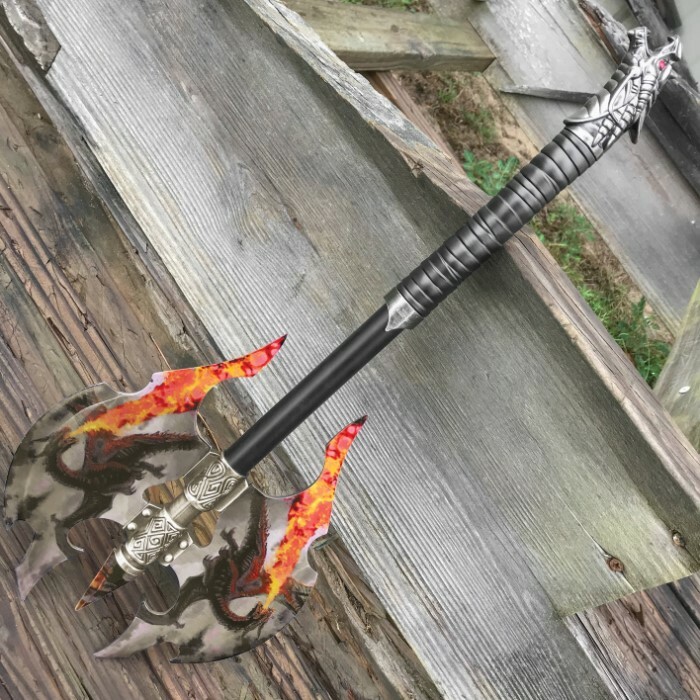 This unique double-head axe will astonish you with its beauty. 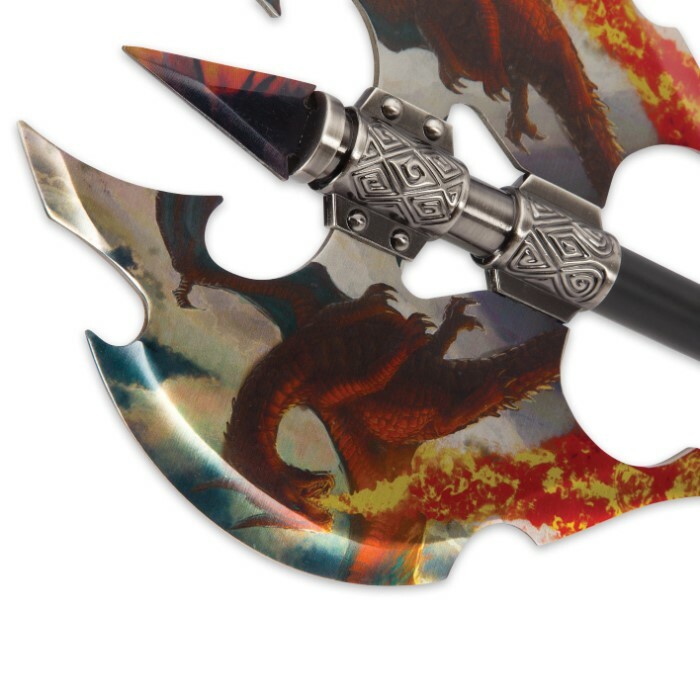 The double-edged design of this axe makes it a double threat. 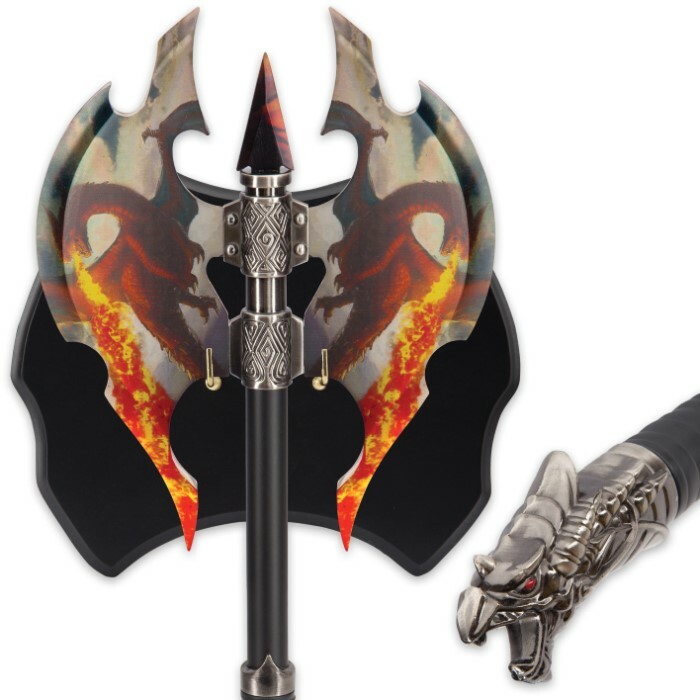 The stainless steel axe head has highly detailed artwork depicting a dragon with flames galore. You can showcase on the wall of your home, office or man cave with the coordinating wall mount plaque. It's a stunner at 21 inches in overall length. The blades are dull if you try to sharpen you will ruin the picture of the dragons. It also had some nick around the edges. the dragon on the end was not line up with the blades. It ok but not as good as my other battle axes.